Choosing the right sandpaper to finish your projects is essential. This video gives information on a variety of sandpaper types to properly finish your wood project. Okay, this is a video on how to choose sandpiper. Okay, in front of me, I’ve got four different grades of sandpaper. These are for an edging sander, but it’s the same principle on all sorts of sandpaper. It depends on the grade you’re using. Okay, first of all, we’ll go over the heavy duty grade. This is P24. If you look on the back of the actual disk, it will tell you what grade it is. The lower the number, the thicker the actual sandpaper. This would be for very uneven surfaces. So, if you needed to even off a surface or take off quite a bit of wood off whatever you’re using – floorboard, timber, or anything really, okay, then going down is a P36 which is quite still a bit rough, but you can still take quite a bit off with this one. Okay, once you’ve used a 36, what you really need to do, or else it’s going to leave scratches in the wood and grain if you’re doing it, idea of using it on the floor, we need to try and take out those scratches. So, this would be using an 80. What an 80 does is it still takes quite a bit off the floor, but it will take out the scratches and leave just very, very, light scratching in the floor, okay? Once you’ve used the 80 and you’ve gone over, and you’re just left with a very light scratching on the floor, you can go over with a P120. And what the P120 does, it gives you a nice smooth finish in the floor and takes any light scratches on the floor completely off. 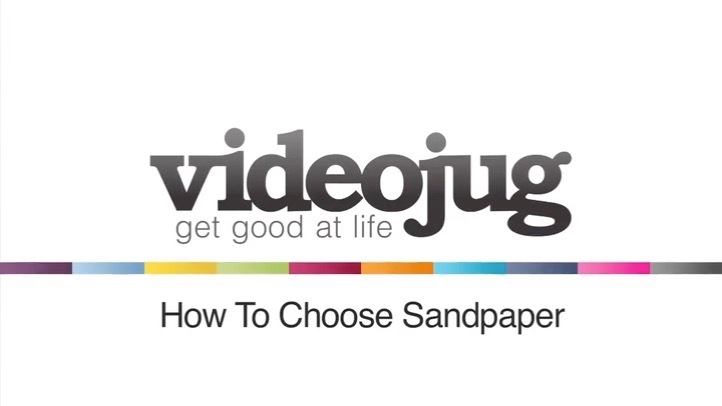 And that’s how to choose sandpaper. .